Today’s entry will be short. Why? I have man-flu, and I intend to do what any self-respecting adult would when hit with such an affliction; complain. Last night, I was fine and in good spirits This morning, I feel as if I’ve been violently beaten about the head whilst I was asleep. 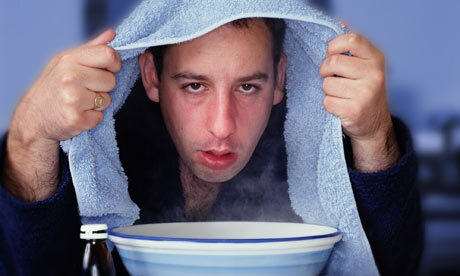 I hate having a cold (man-flu). It affects my inclination to do anything productive or of note. Mercifully, there isn’t a great deal in the way of Arsenal news out there – what with this pesky international break, and all. Most tid-bits surround our returning players. Both Bacary Sagna and Jack Wilshere made it through last night’s U21 game against Reading unscathed, as they continue to look for the required match fitness.The two players managed to play a little over 60 minutes each. It’s highly unlikely either will feature at Norwich a week on Saturday – Sagna has an outside chance – but it’s certainly good to have players of undoubted quality nearing a return to the first team. I’ve a feeling of enveloping positivity about of squad at the moment. We’ve looked good in patches this season, and there’s the sign of more to come – it’s early days yet. We will grow as a unit and continue to improve. Call me biased, and of blind faith, if you will, but I haven’t had this good a feeling about the team for a while. In seasons past we haven’t had unity, flair, experience and youth blended as well as I believe we do at the present. And we’ve still two world-class players to return. On that note, I shall bid you good day. I feel the urge to climb back into bed and whimper until someone brings me a warm beverage. Thanks for reading today, you beautiful bastards. Please leave me a few of your thoughts on the state of the squad in the comments below. Injured players returning is great….but how did sagna and santos get to play a U21 game? ?